See the newest Canyon Meadows homes for sale & Calgary real estate listings below. 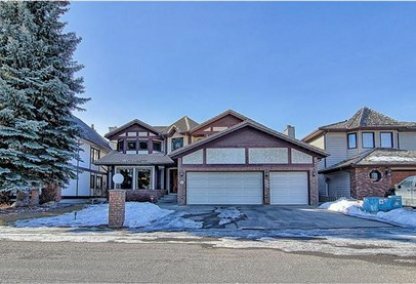 Bordered by Fish Creek Provincial Park (South) and Canyon Meadows Golf and Country Club (West), Canyon Meadows Estates is situated in an ideal location that offers its residents magnificent views and direct access to several recreational activities nearby. 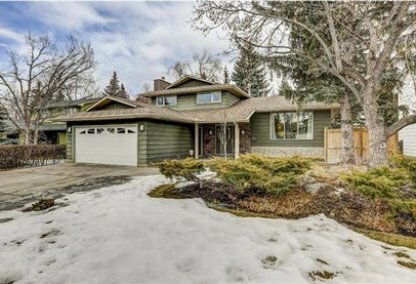 Discover just listed Canyon Meadows neighbourhood properties for sale! Schedule a guided home tour today with your Canyon Meadows Calgary real estate agents. Canyon Meadows housing market statistics: As of April 25, 2019 there are currently 36 properties for sale in Canyon Meadows listed as active, with an average asking price of $400,439. The highest-priced property is $949,900; the lowest priced property can be purchased for $99,900. 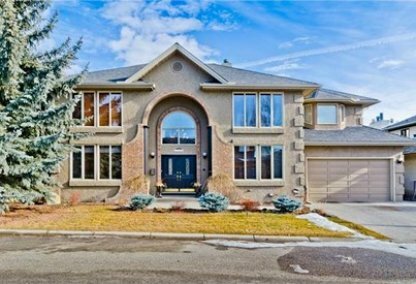 Canyon Meadows neighbourhood listings have an average price of $265 per square foot, based on listings with 3.3 bedrooms, 2.3 baths, and 1,456 square feet of living space. Want to purchase a home in Canyon Meadows Calgary? Call your Canyon Meadows real estate team, Justin Havre at RE/MAX First - 403.217.0003. Your neighbourhood Canyon Meadows real estate agents and agents are here to help with the Canyon Meadows housing market in Calgary. Most of the residential properties in the Canyon Meadows community are single-family homes and are available between the amounts of $500,000 and $2.5 million. In the 2010 Canyon Meadows Estates Statistics, 27 houses were sold for an average price of $665,059 and median sale price of $635,000 after being in the market for 40 days average while a single condo unit was sold within the neighbourhood for $361,500 after 49 days on the market. In the 2011 Statistics, after being listed for 44 days average on the market, 21 houses were sold for the average price and median sale price of $638,035 and $572,500, respectively. Homes in the Canyon Meadows neighbourhood are popular among buyers not only because of their ideal location but also because of their great quality and amenities. The neighborhood offers large gorgeous estate houses with spacious lots. This type of home is ideal for families and individuals who have plans of starting a family. The neighborhood is right on the western edge of the community, providing its residents easy access to a number of shops and establishments in Canyon Meadows. With the nearby Golf and Country Club, home owners looking for recreational activity can visit the club and have fun playing golf and engaging in conversations with other residents in the community. Canyon Meadows Estates continue to attract potential home buyers because of its relaxed, comfortable, and serene community living. Thinking of buying or selling a home in Canyon Meadows? Let our local real estate agents help guide you through the purchase of your next home, or to expertly negotiate the sale of your current home. As local Canyon Meadows real estate agents, we're experts on the market dynamics unique to the Canyon Meadows real estate market. We'll get to work for you today! Contact Justin Havre at RE/MAX First - 403.217.0003 to learn more about buyer or seller representation. Planning to sell your Canyon Meadows home? Check out our free home evaluation, where you can instantly price your Calgary home price your Canyon Meadows home online, in minutes!